Congrats to Dawn Hansen Photography on being selected by the Junior Class to take this year's Prom pictures! 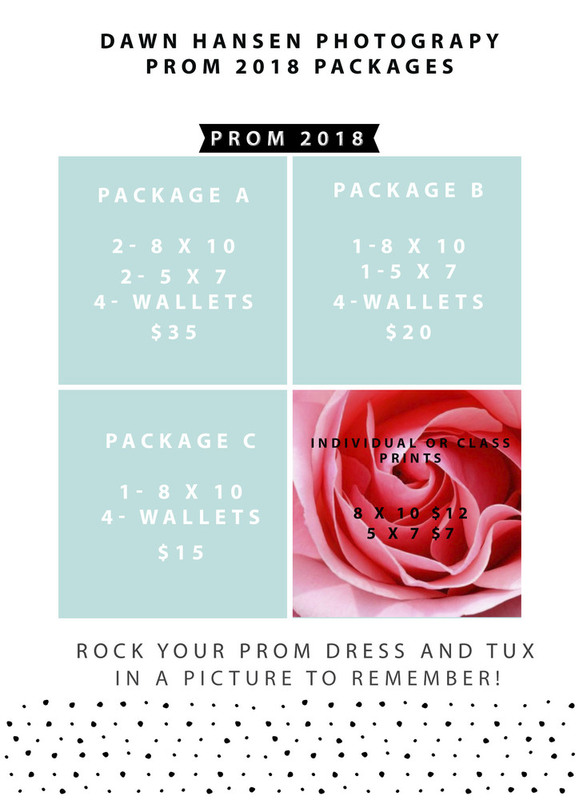 The Prom Pictures Order Form is under the Documents section on the school website! Get it filled out ahead of time!